On the 31st July 2011, I will begin a challenge of a lifetime. Having been accepted as a crew member, I will be racing around the world against nine other yachts in the Clipper Round the World Yacht Race. 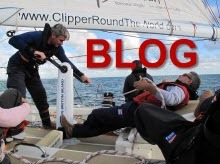 When the starting gun went off for the Clipper 11-12 Round the World Yacht Race on the 31st July 2011 the fleet of ten sleek, stripped down 68-foot yachts embarked on a full circumnavigation of the globe. 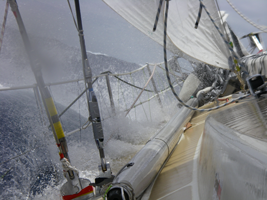 The race track is 40,000 miles long and it will take eleven months to complete the circumnavigation. The race is divided in to a series of eight legs and crews can decide how many of these to compete in. There are 15 individual races, contained within eight legs, in total and, just like in Formula 1, points are awarded at the end of each race, building towards a championship total. It means that you can put a poor result behind you and head to the start of the next race with the possibility of gaining maximum points as you lead the field in. The race route is firmly in place but details regarding many of the destination ports are still under negotiation. The adventure will start from the UK in August 2011 and cross the Atlantic Ocean, the South Atlantic, the Southern Ocean, the Java and South China Seas plus the mighty Pacific. It will deliver two of the three great capes, Cape of Good Hope and Cape Leeuwin, and visit New Zealand for the first time in Clipper’s history. With all boats identical and budgets equal, no one has a head start. It’s the ultimate long distance match race and the winners are those who keep their focus the longest. It’s a unique opportunity to experience a rare freedom and only the Clipper Round the World Yacht Race makes it possible. I want to make this journey count not just for me but for other people too, so I'm raising funds for sail4cancer . There are opportunities to sponsor me and gain massive exposure from the media coverage, for details of how to do that go to my SPONSOR page. Copyright © Ian Geraghty, 2011. All Rights Reserved.